Dr. Feng’s research is focused on understanding how mutations of parkin cause the selective degeneration of human nigral dopaminergic neurons and the ensuing Parkinson’s disease (PD). He has found that one of the intrinsic vulnerabilities of these unique cells stems from their need to transport dopamine, an oxidation-prone neurotransmitter, on microtubules in their long axons with massive axon arborization. By stabilizing microtubules, parkin protects against the selective toxicity of many microtubule-depolymerizing agents, including the PD environmental toxin rotenone, on midbrain dopaminergic neurons. His work also shows that parkin maintains the spatial and temporal precision of dopaminergic transmission by enhancing the cell surface expression of dopamine transporter. 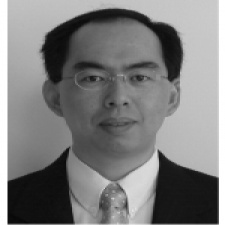 More recently, Dr. Feng’s study has shown that parkin, a ubiquitin protein ligase, controls the degradation of estrogen-related receptors to limit the transcription of monoamine oxidase, which is responsible for the oxidative deamination of dopamine – a reaction producing large quantity of reactive oxygen species. His laboratory has generated many lines of patient-specific induced pluripotent stem cells (iPSCs). They are using iPSC-derived midbrain DA neurons and induced dopaminergic (iDA) neurons to study the unique vulnerabilities of human midbrain DA neurons and how parkin protects against these vulnerabilities. Jiang H, Zu Z, Zhong P, Ren Y, Liang G, Schilling HA, Hu Z, Zhang Y, Wang X, Chen S, Yan Z, Feng J. Cell Cycle and p53 Gate the Direct Conversion of Human Fibroblasts to Dopaminergic Neurons. Nature Communications. 2015 Dec 7;6. Xu Z, Jiang H, Zhong P, Yan Z, Chen S, Feng J. Direct Conversion of Human Fibroblasts to Induced Serotonergic Neurons. Molecular Psychiatry. 2015 Jul 28 [epub ahead of print].21:62-70. Y Ren, H Jiang, Z Hu, K Fan, J Wang, S Janoschka, X Wang, S Ge, J Feng. Parkin Mutations Reduce the Complexity of Neuronal Processes in iPSC-derived Human Neurons. Stem Cells. 2015 33:68-78. H Jiang, Y Ren, EY Yuen, P Zhong, M Ghaedi, Z Hu, G Azabdaftari, K Nakaso, Z Yan, J Feng. Parkin Controls Dopamine Utilization in Human Midbrain Dopaminergic Neurons Derived from Induced Pluripotent Stem Cells. Nature Communications. 2012 3:668.